Marvel Studios has made no secret that they have a huge plan for continuing their cinematic and televised universe, stating that their plan reaches as far as 2028. With The Avengers: Age Of Ultron and Guardians Of The Galaxy being prepped for box office glory, we know that both of those properties are in play, and have been before they were officially trademarked by Marvel Studios last December. What we didn't know is that those two titles were only the beginning of what Marvel seems to be planning, and roots are being planted with these two titles to that will bloom throughout Phase 3 and beyond. Movie Pilot broke the news that Marvel Studios had trademarked nine titles for their film production arm. Out of those nine, seven are brand new names that we've either only heard mentioned in passing or not at all. Each of these projects has connections to the existing and upcoming Marvel Cinematic Universe entries, some more surprising than others. How the pieces fit together is ultimately something that only those at Marvel Studios would know for sure, but there's no harm in looking for clues in plain sight. Load up your Level 10 issued description software, as it's time to decode the future of Marvel Studios. 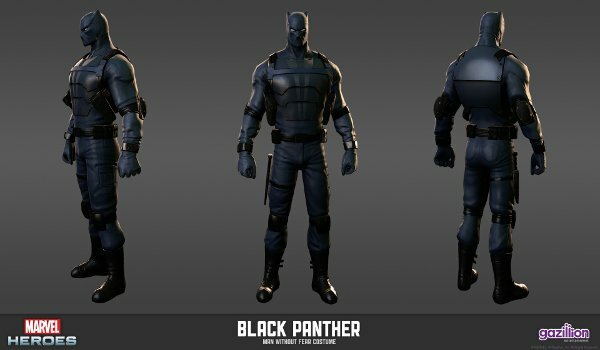 One of those names that's been consistently mentioned in passing is Black Panther, aka T'Challa – an influential chief of the Panther tribe in the nation of Wakanda. This African nation has come up more than a couple of times, particularly when the news of The Avengers: Age Of Ultron's production schedule took the film to South Africa for the first bit of filming. Also, Black Panther does take part in the Age Of Ultron story in the comics, so the inclusion of these two titles is quite the palpable link. My guess is we're going to see or hear an initial reference to Wakanda and/or its national super hero, leaving the door wide open for a Phase 3 feature focusing solely on Black Panther's exploits. Age Of Ultron is suggesting its scope and timing will widen the Marvel Cinematic Universe beyond our country and beyond our universe, and the inclusion of the character would only further bolster their diversity when casting heroes. 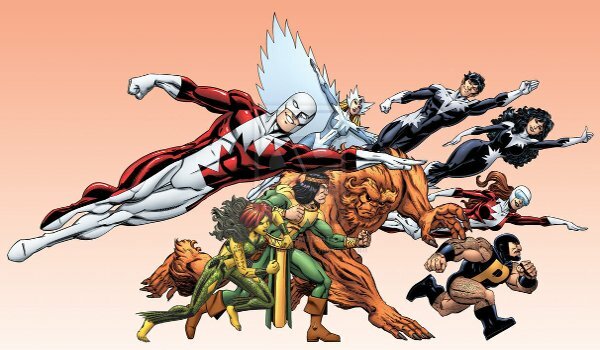 Speaking of diverse, international heroes, meet "Canada's answer to The Avengers," Alpha Flight. A team comprised of members from all over the nation of the North, and encompassing the different ethnicities of the area (with Inuit and First Nations members in the rotating roster), the team also feels like a maple-flavored X-Men clone. In addition to feeling like the X-Men, Alpha Flight has shared some story time with the uncanny mutants in the comics, which only further makes me believe there's more to this than what we're seeing. Truth be told, the close ties to the X-Men seem to influence these characters quite a bit more than would be comfortable for anyone at Marvel Studios to mention. Which leads me to think that this is more of a step in the direction of hampering Fox's growth into the Marvel adaptation industry than anything. 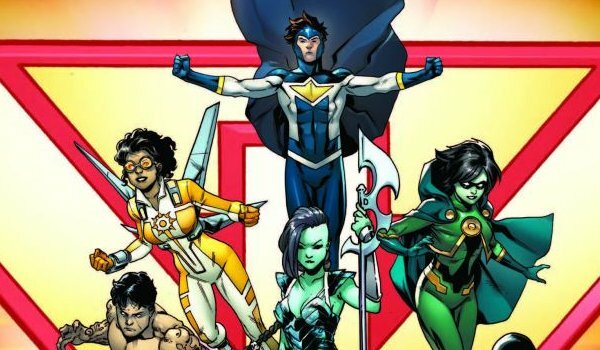 The characters are too similar to the X-Men and The Avengers (or even Big Hero 6, the comic that spun off from the Alpha Flight books) to tread any real new ground. Sometimes copyright filings are so that the other guy can't get to it first, and this seems like another in a series of moves designed to make the borders between Marvel's' fractured factions that much clearer. I can hear the groans through the monitor already. "Ant Man? Seriously? That was new in 2006!" Yes, it was indeed. However, we've never really gotten any ideas as to what was going to happen in the film, and only knew that Michael Douglas would probably be playing Hank Pym to Paul Rudd's Scott Lang. Other than that, we never knew about the story or how this film was going to connect into the fabric of the cinematic universe. After some digging on my part, as well as Movie Pilot's part, the connecting point is clear. Remember the huge assault on HYDRA launched in Captain America: The Winter Soldier? Remember how those three gigantic helicarriers crashed into each other? 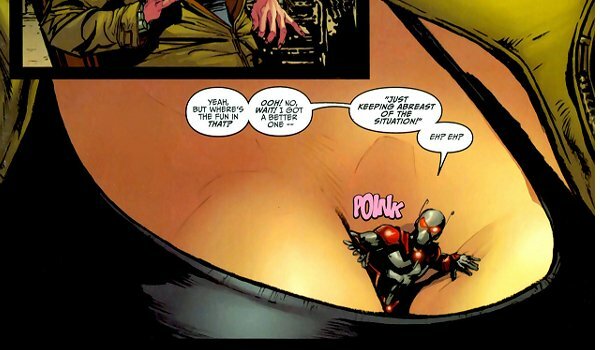 Those play into the Irredeemable Ant-Man's story as well. Crossing the aisle to DC Comics for a moment, the Teen Titans franchise has produced two really fun cartoon series that are more kid centric than most of their other fair. Marvel, while having a lot of animated series on The Disney Channel, doesn't connect their canon to that of the films. What better opportunity to create a property focused solely on teen heroes than the New Warriors! The group originated in Thor's 1989 run, and became sort of its own thing in the grand scheme of things. So what's to say the same can't be true for the MCU's version of these characters? With the Netflix series that Marvel Studios seems to be planning with Daredevil, Iron Fist, Luke Cage, and Jessica Jones, it looks like these series are going to pull an Agents Of S.H.I.E.L.D. and hitch their fates to the film canon. What else is Netflix known for when it comes to their original programming? Kids shows like Turbo Fast that entertain the kids. With the constantly rotating line-up, and the easy tie into Thor's storyline; it's not hard for these scrappy youngsters to appear in Thor 3 and then jump over to their own show for future adventures. Not to mention, the New Warriors did kinda help bring two incarnations of this little known hero called Nova into being. I'm sure there's a place for him in this universe, isn't there? Strikeforce Mortiuri is, honestly, a pitch black property when compared to the bright and shiny Marvel universe in the films. The focal point of the series is a process that gives its candidates (who survive the process) superhuman abilities... and a life span of about 1,000 days. It's used as a last ditch effort against a massive alien invasion, and the series ran for three years and thirty one issues. 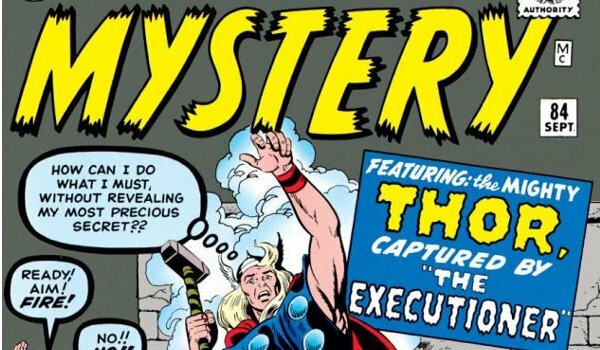 So why in the hell would Marvel Studios trademark the rights to such a bleak, non-crossover property? The only guess I have is that Marvel Studios is going to start appealing to more mature audiences with certain branches of their programming. 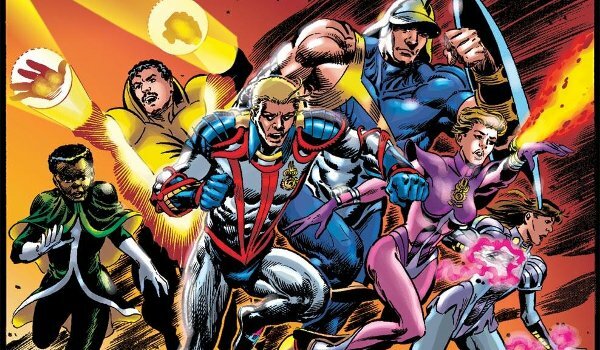 A story like Strikeforce Mortiuri would be a great counterpart to the more light and connected cinematic universe. This has Netflix Original written all over it, as it could stand as a three season powerhouse that delves into the darker side of humanity and superhuman abilities that a massive tentpole can't jump into. Much like they have shows on The Disney Channel for kids a little too young for the films, Netflix can make its move for a more adult audience with Strikeforce Mortiuri. In the comic world, Journey Into Mystery was an anthology that ran horror and fantasy themed stories. It also happened to spawn The Mighty Thor, and we all know how that turned out. Come to think of it, a couple of the most powerful of our superhero legends have come from anthologies like this one. And who's to say that they can't come from that fabric yet again? Journey Into Mystery looks like it's going to be another Netflix Original, but one that creates the characters instead of just interpreting them. While the original comic has writers like Robert Bloch (of Psycho fame) and H.P. Lovecraft to work off of, the modern Journey Into Mystery could have some of the best modern artists in science fiction, fantasy, and horror weaving new vision or retelling old classics. Imagine a new anthology with William Gibson and Harlan Ellison (it's a stretch, I know) contributing characters to the Marvel canon that might spawn their own franchises themselves. You can test out lesser known characters, and see what works and what doesn't. With Rocket and Groot venturing into the further reaches of the universe, and all of Cosmic Marvel at their fingertips to explore, things could get a lot weirder and a lot stranger than anticipated. Which, obviously, leads to new characters and new plotlines to exploit from those characters. The Avengers is only going to sustain the Marvel Cinematic Universe for so long, and new gateway characters are going to be needed to get things going. 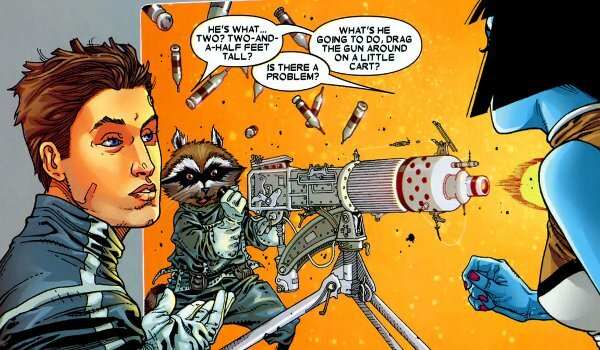 Rocket Raccoon and Groot are just the team to usher in the Cosmic Marvel world into the world. Guardians of the Galaxy is the next golden goose for Marvel Studios, and if successful it's a launching pad into a completely new world of storytelling. If the studio sticks with a "three and done" mentality, we could see The Avengers take a backseat and The Guardians taking the place as the new hub franchise. If true, this means Cosmic Marvel will be the centerpiece of the Universe, leading to a whole bunch of these characters taking their places in the spotlight. Marvel has their eyes on the future, and from the looks of it, it's a bright future indeed. Which Marvel project would you like to see most?